Washington State University, Pullman, Wash., students wanted a bike sharing program, an environmentally friendly transportation alternative, on their campus. These increasingly popular programs place a fleet of bikes in a defined geographic area–an urban location, corporate center or a campus–that can be borrowed or rented at convenient points for short periods of time. Initially the students agreed to a pilot system where they could check out a bike at the Student Recreation Center or the Union Building, says Jamie Bentley, environmental wellbeing coordinator at the university. For the pilot program the school purchased 40 Trek bikes and placed them at those two centralized campus locations for check out. The program was successful but Bentley still thought an automated system–one where they could swipe their student ID at an unattended machine to gain access to a bike–would be more convenient and popular. The students agreed and that’s when the school started looking at options for an automated system, Bentley says. Through the university bid process they were able to purchase four stations and 32 BIXI bikes. BIXI, created by Public Bike System Co., consists of specially designed bicycles, locking and checkout stations, payment kiosks and other infrastructure for bike share systems. The name comes from a combination of “bicycle” and “taxi” and the first system launched in Montreal in 2008. Since then, BIXI has been deployed around the world in locations including Washington, D.C., London, Melbourne and Toronto. The new units were deployed at different points on Washington State’s campus in September. In the initial weeks, the program saw more success that the prior year’s pilot. As of early October the bikes had already been checked-out for 1,500 trips by more than 800 students. Last year the program barely reached 600 users. BIXI bikes are free for students, Bentley says. They just need to walk up to one of the BIXI stations and swipe their ID, read a waiver and agree to the terms. Depending on the user’s preference, the station either prints or displays a single use code that the student enters on appropriate keypad to access the preferred bike. Students can borrow a bike for 24-hours but after that will be subject to late fees if it’s not returned. Though an interface did not previously exist, the university was able to integrate the BIXI system with the campus card system, CBORD’s CS Gold, explains Craig Howard, director of Administrative Services Information Systems at the school. When a student swipes the card at the BIXI station, the interface validates the patron data from the card’s magnetic stripe against the data in the CS Gold system, Howard says. This ensures that the user is an enrolled student or current WSU employee before releasing a bike. The CougarCard is used to provide many different services at WSU, Howard says. Physical access control, meal plans, library privileges, athletic event access and off-campus purchases using Cougar CASH are just a few of the services provided. The school also has some doors equipped with prox readers for entry and a banking partnership with US Bank that enables students to link their CougarCard to a checking account so it can be used as a Visa-branded debit card. Duke University, Durham N.C., rolled out its bike share system at the start of the Fall term. The program utilizes the Blackboard Transact system to track usage, says Matthew Drummond, director, DukeCard. Duke Bikes is free student bike-loan program that currently includes a fleet of 130 rental bikes equipped with adjustable seats, lights and flashers. Student can even rent helmets and baskets. Bikes are registered into the Blackboard Transact system as products and assigned point values. Using Blackboard’s credit and debit functionality, students can use their DukeCard account to borrow bikes for the day. 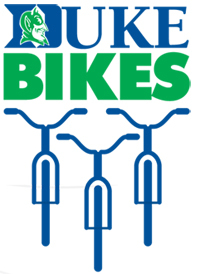 At the Duke Bikes Web site, they can go also online to check the inventory of bikes available, reserve a bike or renew their rental. By integrating the bike rental program into the Blackboard system, administration is able to better manage day-to-day bike rentals. Student Life Offices can obtain a demographic analysis of each rider including their class, age, gender and number of rentals. They can also monitor overall usage patterns such as the months with the most and least amount of riders. With this data from the Blackboard system, Duke has the ability to design promotional campaigns targeted to a student’s specific needs and they can better plan for future enhancements to and expansions of the program.